With this module you can change all the prices on your website in one click! 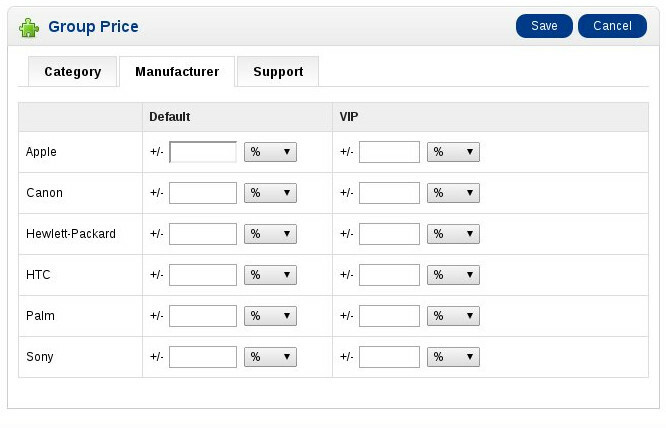 The module will help you to change prices for each customer group, category and manufacturer. It can change price "on the fly" without changing the price in the database and it can change the price in the database. 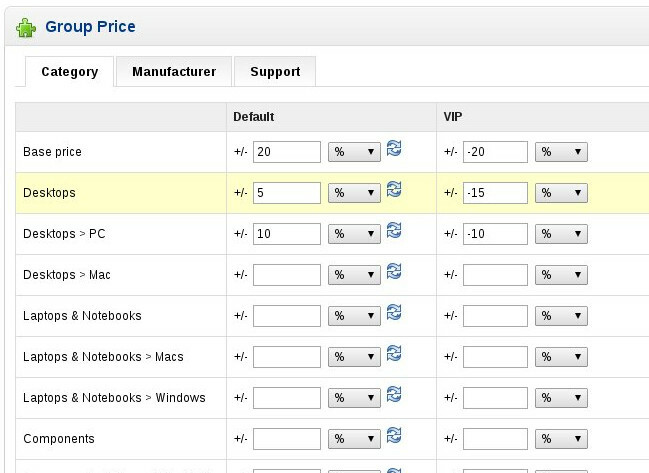 The price will change everywhere on the site for every module and page which use the OpenCart API for getting products.